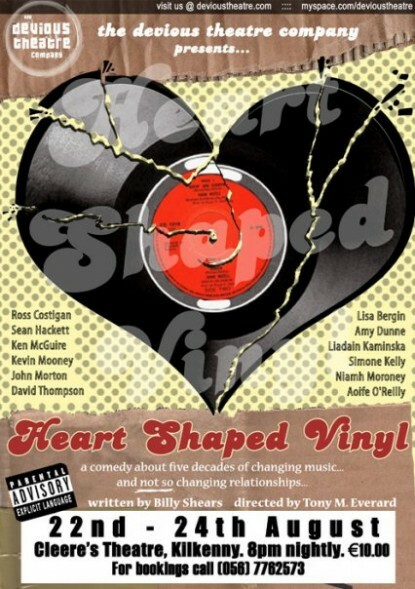 Heart Shaped Vinyl by John Morton is a theatrical mixtape about five couples in Ireland over the course of 5 decades and the effects of music on their relationships. 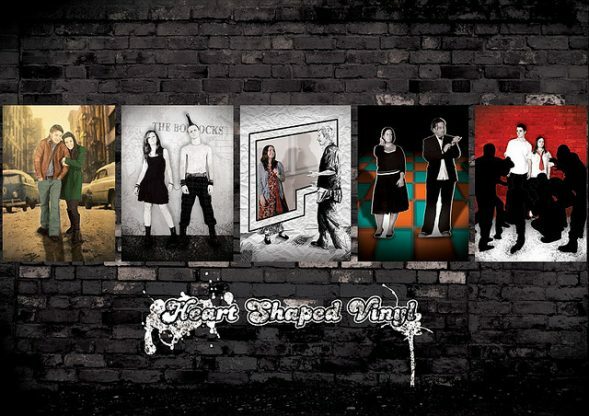 Heart Shaped Vinyl plays from the arrival of the Beatles in 1962 to the digital revolution in 2006 and everything else in between. As it reminds us of the different things like people, places, kisses and heartbreak, the play represents a theatrical mixed tape of all the songs that triggered those memories. It was first performed August 22nd – 24th 2006, at Cleere’s Theatre, Kilkenny. It was revived the following year in Cleeres Theatre from 27th – 30th June 2007 and again for a one off performance on October 27th as part of the Rockfall Festival. It was directed by Kevin Mooney.